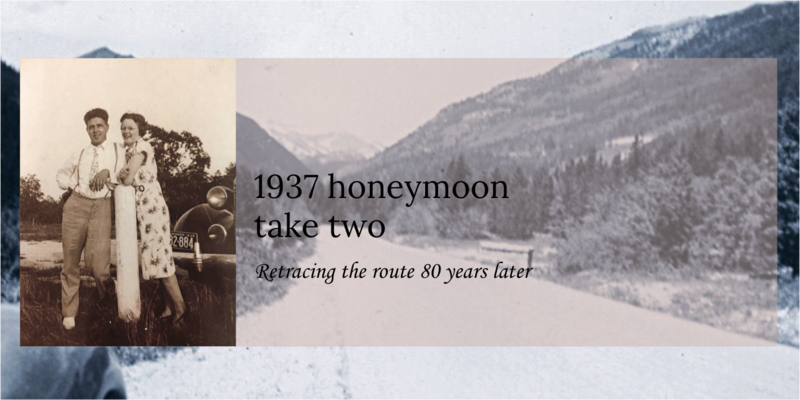 Earl and Ethel likely took highway 89 from Salt Lake City directly south to Bryce Canyon National Park. 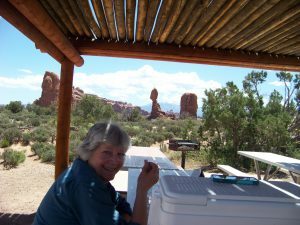 We chose to veer east on Highways 50 and 191 to stop at three other national parks in Utah that did not exist in 1937: Arches, Canyonlands, and Capital Reef, plus Bridges National Monument. 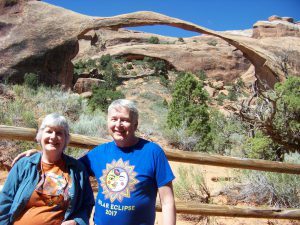 We toured Arches NP on Sunday-Monday, May 13-14. 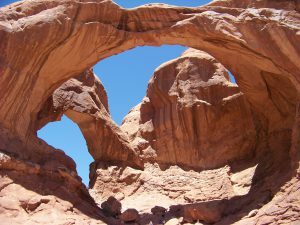 Arches was designated a national monument in 1929 and became a National Park only in 1971. 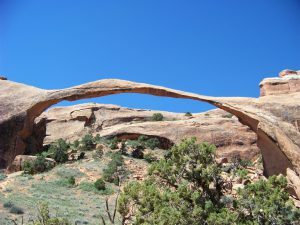 There’s over 2000 arches in the park and it has the highest density of natural arches in the world. 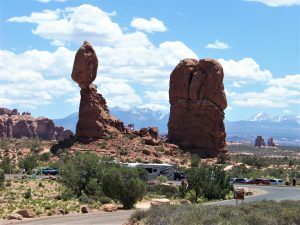 We got up close and personal to some of the best of Arches NP! We will likely be without internet now until Saturday when we catch up with Earl and Ethel in Bryce Canyon NP. Until then enjoy the following nature’s own eye candy like we did! 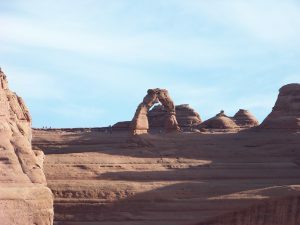 Delicate Arch, although at seven stories tall, it not so delicate! Delicate Arch is everywhere, including most Utah license plates! Balanced Rock. How does it stay up there? Lunch at Balanced Rock. Notice at a safe distance too! Landscape Rock. It probably should be called Delicate Rock. A big portion let loose in 1991. Now folks can’t walk under it. We wonder why? Lynn and Carl at Landscape Rock. We spent our 35th wedding anniversary here. It was great! Outstanding!!! It sure seems from your writings and pictures that you are enjoying the Honeymoon. Also, there was a great front page article in the Stevens Point Journal. Remember, tomorrow is Syttende Mai; so enjoy the day! Arches looks really interesting. Balanced Rock looks like it would fall any minute. Keep the pictures coming. Happy Anniversary to both of you. The arches are beautiful! 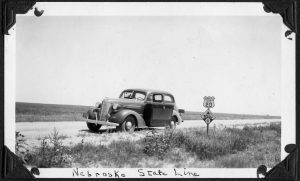 Fun to follow your blog. 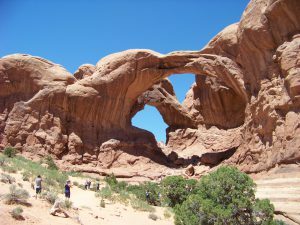 I’ve been to Arches 3x I believe. The first time we took Grandma Rasmussen (Erma). We also took Bethany and Sara. A beautiful place.